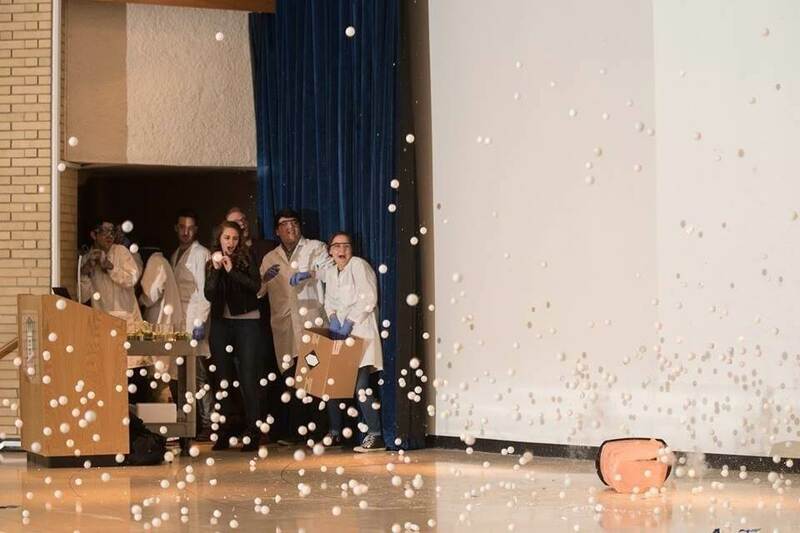 The Northern Illinois University Chemistry Club invites the public to its annual Chemistry Demo Night held on Friday, April 12, in Faraday Hall 143, located directly behind LaTourette Hall on Normal Road. Doors will open at 6 p.m., and the show will start at 6:30 p.m. This year’s theme is “The Wizarding World of Chemistry,” with the demo featuring Harry Potter-themed experiments. Free and suitable for all ages, it will consist of spells and scenes from the franchise that are sure to mystify all spectators. Faculty members helping with this year’s demo include Professors Tim Hagen, Narayan Hosmane, Lee Sunderlin, Chong Zheng, and the Chemistry Club’s faculty advisor, Professor Oliver Hofstetter. “The students really put together a magical show again this year, and I am sure that both muggles and wizards will greatly enjoy it,” Hofstetter says. Some of the demonstrations this year include crowd favorites, such as the ping pong liquid nitrogen bomb and elephant’s toothpaste. The show will conclude with a Chem Club specialty: liquid nitrogen ice cream! Note that the experiments planned for the evening include bright flashes of light and intermittent periods of low light and/or darkness. Free parking will be available starting at 5 p.m. in the NIU parking deck along the west side of Normal Road, about one block north of Lincoln Highway, or in the nearby visitor lot on Carroll Avenue, just west of the parking garage. For more information, please contact Alyssa Mohr at amohr@niu.edu.